Fabric softener can be used from 0 months. 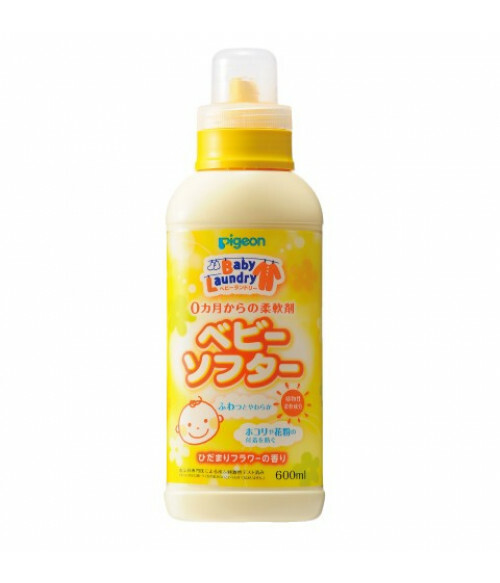 Softeners for baby clothing with a long-lasting softness, a pleasant touch, and a sunny floral scent. Uses natural softening ingredients derived from plants to provide a soft finish that does not interfere with the absorption of sweat and water. 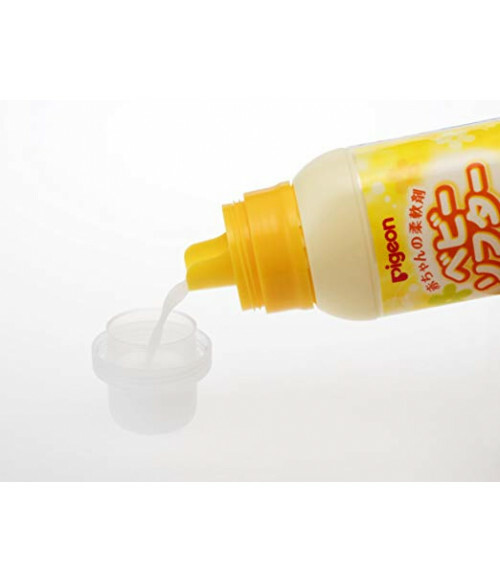 Has an anti-static electricity effect, preventing dust, pollens, etc., from attaching to the clothes. No colors are used. Ingredients: water, N-methyl ammonium methosulfate, propylene glycol, ethanol, fragrance, sodium benzoate, acrylic homopolymer, ester, alcohols,c12-14-secondary, ethoxylated.